Finfeed caught up with Dean Goodwin, CEO at Classic Minerals’ (ASX:CLZ) last week to get an inside look at the company’s flagship Forrestania Gold Project in WA. FF: Thanks for joining us Dean. 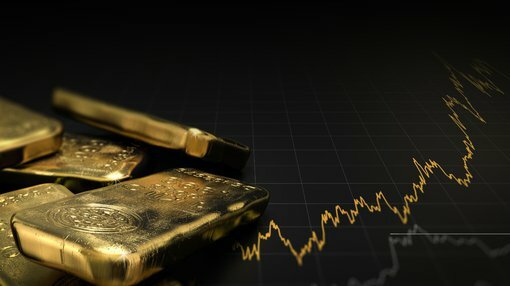 Readers will be interested to hear from you about the company’s Forrestania Gold Project, can you tell me what you have discovered so far to suggest the project has major potential? Dean Goodwin: The project has an existing JORC resource of 240,000 ounces and those are largely spread over a two-kilometre strike incorporating two deposits – Lady Ada and Lady Magdalene. What we’re doing now is drilling to hopefully increase grade and extend the mineralisation at both deposits, and we’re coming up with good results. 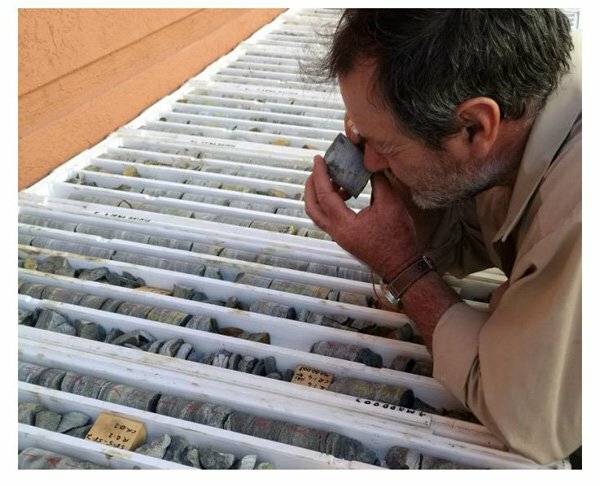 We have confidence that there’s a very large gold system, as there are plenty of repetitions, and the mineralisation (that we’re finding) just keeps growing. Despite heading outwards on both deposits, we haven’t reached the end of mineralisation yet. Recently, our focus has been on testing for high grade Lady Ada style repetitions between the existing drill lines at Lady Magdalene. Diamond drilling came back with very good mineralisation and structural data from two holes at the Lady Magdalene deposit, and there’s a high chance the follow up will replicate that success which is exciting. Drilling has confirmed there are very high-grade cross-cutting ore zones missed by previous explorers within Lady Magdalene. Eventually we are hoping for a big upgrade in the gold grade and upper bounds in that deposit. Lady Magdalene is a very large deposit but currently lower-grade, whereas the Lady Ada deposit is very high-grade but fairly small. We are confident that further drilling will see Lady Magdalene turn into a large deposit with much higher grades. We just finished a diamond drilling program at Lady Magdalene with really positive results, and we will start RC drilling shortly. With that drilling we were trying to locate Lady Ada style mineralisation within Lady Magdalene and looking for zones of higher grade gold. Based on the structural data from the diamond drill holes and the assay we’ve just received, we’ve located (elaborate) mineralisation at Lady Magdalene. FF: At this stage of development, what sets FGP apart from other gold projects in WA? DG: For us, the difference is we are a lot more advanced in the way of getting things done because of the time I spent at the site 17 years ago. Most companies, they get a gold project and it takes them a long time to learn about it and get a feel for structural orientations — a year or two, or more — the difference here is we already know that what the orientations are. It makes it easier to plan drilling, and it makes drilling more cost effective. It means hitting targets more effectively than you would be if you were just taking a stab. FF: Given you were exploring there 17 years ago, why were these opportunities not exploited at that time? DG: I discovered Lady Ada when I was working on the Forrestania Belt for a Canadian company who went under (it was a very long process to get approval, leases and so on). In this area it took me 2.5 years to develop the targets. By the time we finished it all, the Canadian company were struggling. We had come up with over 300 targets for the whole area. Classic has about 90 of the original targets from 17 years ago, which haven’t been tested. Other owners have had the tenements but did not have that data. When I joined Classic, I went through old data and generated these maps that no one had seen for 17 years. It’s like a time capsule — all this info has been lost due to the company going into administration and administrators not collecting all the data or passing it on. It is fortuitous that I’ve come along and we’ve been able to resurrect the old project. I’m really keen on it, obviously. FF: How many targets will you focus on to start with? DG: We’ve got some very high priority targets we want to test. During my work there in the 90s, after I completed the mapping we had a couple of targets close to the Bounty gold mine. They gave me some money to test those, close to the mill, and we found South Bounty and East Bounty within three months. And we knew the planning and geology and science behind the targets was verified. Now I can and I am quietly optimistic. There’s plenty of gold out there that just needs systematic work. FF: Dean, the company recently announced an MOU with Tianye SXO Gold Mining for treatment of any ore to be extracted. How significant is this news for CLZ right now? DG: It’s exciting for us, as it essentially means the project is no longer stranded without any path to production. Only 80 kilometres up the road — that sounds like quite a distance, but we’ve got this very high-grade Lady Ada deposit that easily supports the additional cost of trucking 80 kilometres and treating at a third-party plant. When we’re ready to mine, having that option to use the nearest processing plant will be a godsend. It’s essential for successfully developing the project on a bigger scale. FF: An underlying strategy is to expand FGP’s Resource to a size that supports establishment of an on-site processing facility. What is your timeline for that? DG: We are looking at perhaps the third quarter of CY2018 for a Resource upgrade. We were going to do one late last year, but since coming on board I thought it was prudent to wait until I had had the chance to test some exploration ideas based on my previous experience in the region. Once we’ve tested and proved the high-grade mineralisation at Lady Magdalene and quantified the ounces, we’ll put out a revised JORC resource and revised PFS/scoping study. Our previous scoping study contemplated an on-site processing plant from day one. A revised one would look at a more staged approach. Perhaps with some of the ore going up to the Marvel Loch processing plant, to start with, then transitioning to owner-operator processing plant on-site. Depending on the study outcomes, we may be able to develop the project in a way that yields revenue from early on during the plant construction phase. FF: What kind of news can we expect out of Classic Minerals in the near-term? DG: We will be announcing the outcome of a share purchase plan that’s underway, which has been very successful. Following that, we’ll be getting stuck back into drilling — around late April, early May, and hopefully announcing results from May onwards. The drill results from last week really capture our main focus in terms of exploration strategy at the moment. I had a theory about the mineralisation of Lady Magdalene, we tested that with the drill holes, and the geological model theory has been proven. We are really excited to do that with more targets. FF: Dean, thanks for your time.